20 compatible games with control on Android, iOS and Windows | All rights reserved. We recently updated our Shopping Guide with the best controls you can find in the Brazilian market to play on your Android or iOS smartphone, and many can be used on desktops and even consoles. Since most people do not have the time or simply do not know how to filter games that are compatible with a different input than the device screen itself, or just are not configured to recognize the commands in the right order, we have decided to separate a new tab this time Focused on these titles. It is worth noting that many titles have custom versions for PCs, so we decided to consider as “Windows” only those available officially to the platform through its store, that is, those present only on Steam or other variants were disregarded. 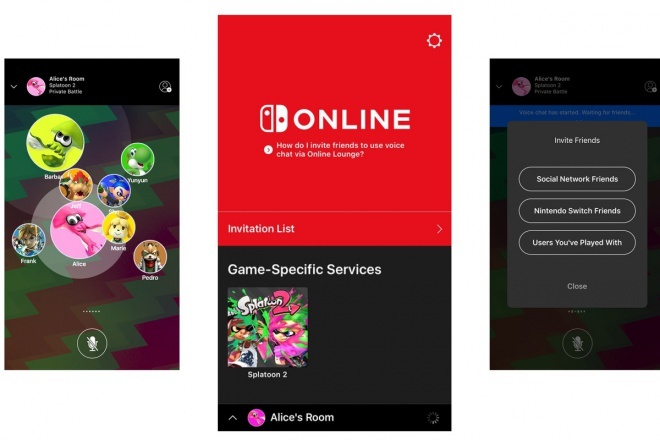 Nintendo promised to debut its new app, Nintendo Switch Online , for July 21, but the new title is already making headlines in Google Play and Apple App Store, at least in the US. Anyone who wants to download needs to have about 98 MB. The Nintendo Switch Online app is designed to enhance your online gaming experience on the Nintendo Switch. With this application, you can consult specific services for each game, invite friends to play through social networks and use voice chat while playing. Play Splatoon 2? If this is the case, you can use SplatNet 2, the service dedicated to this game! Use SplatNet 2 to view all sorts of important combat-related information, including level descriptions, ratings, statistics and more! You can also check your success rate and the amount of territory you have already been able to paint. You can invite friends to play on compatible titles through social networks like Facebook and Twitter. Of course, you can also invite your friends to the Nintendo Switch! Depending on the type of game, you can use voice chat in different ways. Talk to everyone in the room or just the members of your team if you want to take the competition more seriously! To use these services, you need Nintendo Switch apps compatible with this application. Currently, the only compatible application is Splatoon 2. You can try this application for free until the official launch of the paid membership service Nintendo Switch Online in 2018. After the official launch of the service, you’ll need a paid membership to continue using this app. You’ll also need to update the application. To use the service, you will need a Nintendo Switch console and compatible applications. In order to use this service, it is necessary to have a Nintendo Account for over 13 years. In addition to your Nintendo Switch friends, this application can put you in touch with friends from social networks. In order to use the application, a stable Internet connection is required. What is the best Camera phone on the market? That is the question many ask themselves before acquiring a new smartphone. According to the DxO Mark ranking, considering only the models we have in the Brazilian market, in TOP 3 are the Galaxy S8 , iPhone 7 and LG G6 in that order. The TechWikies already held a blind vote with popular participation and our team , giving the victory to the Galaxy S8, but with the second place being in the hands of the G6, while the iPhone 7 squeaked last place, even losing to the Galaxy S7. Before this picture we decided to go a little further in the analysis of the images captured for the comparative, trying to answer some questions. After all, what’s more, color fidelity or noise level? Good photos only in daytime catch or at night also have important weight? Among other factors. Below are some of the original comparative images, but with cutouts (enlargement) that help you better understand the qualities and defects of each camera. Even the tip, in camera comparisons, try to enlarge the images to the maximum before voting. In the first image we have already learned an important lesson that is largely ignored in comparative cameras. Not always the clearest image is the one of better quality. In the example above we have the saturated images of the S8 and G6, against a more accurate capture in the colors and softer, although losing in the noise level for the rival of Samsung. In this same image the iPhone 7 was last in the blind vote and here we have already begun to address an aspect that have presented great weight. The average user does not want a photo with color fidelity or with total absence of noise, he wants the photo to be “alive”, beautiful, to be shared in social media, even dispensing with the use of popular filters in fast editing applications . Starting from the second image, the rule discussed above is still valid, and although the iPhone 7 presents a more harmonious result, the saturation presented by the rivals gives them the victory. The situation begins to change from the third image onwards. Here the picture of the podium repeats itself, but with the difference that justice has been done and the iPhone 7 is provAen to be over, with the G6 being a little better and the S8 unbeatable. In the fourth image we have the opportunity to check the level of detail that each camera presents. As you can clearly see, the G6 lets you read the number that was about 50 meters away, while the rivals apply a smoothing noise that blurs some details and, in the case of the iPhone 7, makes the image gray and lifeless. In celebration of the American holiday of July 4, when the country celebrates its independence from England, Apple, as a good patriot company, could not fail to celebrate such a date, putting in promotion several applications hitherto paid, totally free in the App Store.